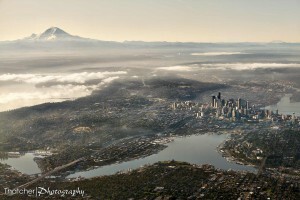 I was born here in Seattle and currently live in Seattle’s Fremont neighborhood. I spend a lot of time in there and in Ballard, and I work in downtown Seattle. I’ve lived all over this country (Newport News, Klamath Falls, St. Louis, Eugene, Boston, Kansas City, New York, and San Francisco) and have visited all 50 states. No other place has the mix that we have here of natural beauty, temperate weather, vibrant cultural community, and large numbers of genuinely curious grown-ups. I am well aware of the city’s imperfections (the infamous “Seattle freeze” topping my list of areas for improvement, just edging out our lame-o mass-transit infrastructure and rampant NIMBY-ism), but I honestly can’t think of any place I’d rather live. In the early years of the internet, I was in San Francisco working for a new-media development studio where I did a lot of research and work on virtual community. The upshot of that experience was a strong craving for the real thing, so I packed up and returned to Seattle. I’ve been home for over fifteen years now and have never looked back. I have immersed myself in multiple communities (art, music, massage, business, tech) since I’ve been back and cherish the many real connections I’ve made here.